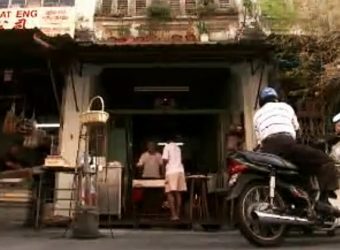 Great Al Jazeera Program on Penang, the life, the culture, the heritage and ultimately, the food by Veronica Pedrosa. First aired in June 10, 2008, this is part 1 of 2 videos available to share on YouTube. We hope you will enjoy this as much as we do. All Penangnites are extremely proud of their Hawker Food (Street Food). Ask any Penangnite and they are bound to have an opinion on the best place to eat a certain type of food. 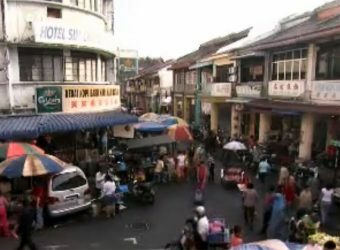 Penang is without question easily heralded as the Food Capital of Malaysia if not further afield, after all where else in the world would you get food anywhere you turn and at all hours of the day…and night! (Fancy dim sum at six o’clock in the morning, or Nasi Kandar available around the clock, even the various types of Roti available at midnight!). There is no dinner time or lunch time, anytime is meal time. While all conversations in the U.K. centre on the weather (sounds boring eh, but the weather is really changeable in the UK, honest! ), in Penang, it is always, always, always about food. Eating is a way of life. There is nothing Penangnites love more than their food. So if you’re visiting Penang, make sure you make time to try the food. 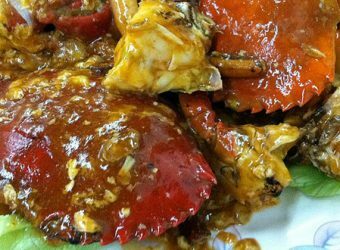 Here is a list of top 12 Penang Street Food based on an online survey by the state government. Click on the links above to learn more about the best street food in Penang. John Brunton’s article in The Guardian picked 10 best places to eat in George Town, Penang that not only serve some of the best street food but at very good prices. In conjunction with the George Town Festival, here is another international recognition for Penang’s diverse food and culture. So foodies out there, take out your writing pad / smartphone and make your own checklist. 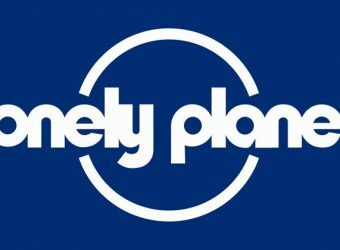 Make sure you go to every single one of these places in the list at least once. 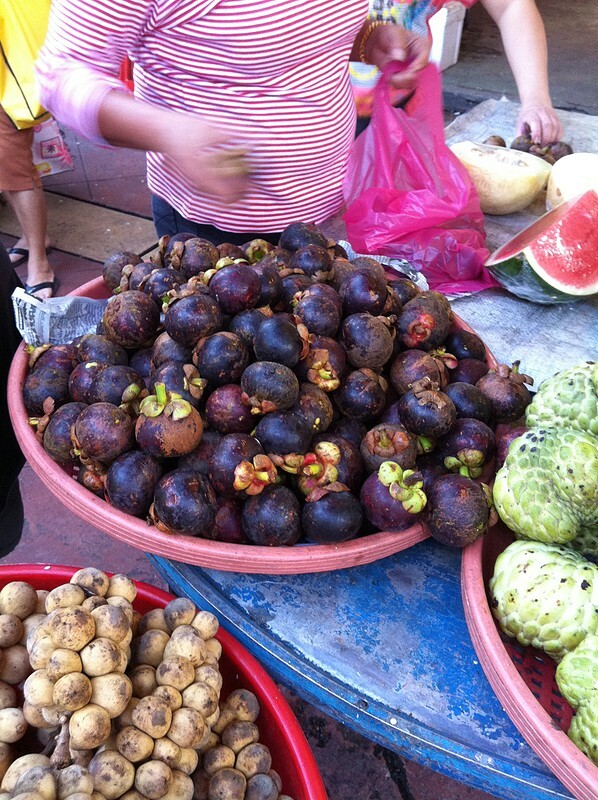 For more of John’s insight into Penang food, his article can be found in the link below. 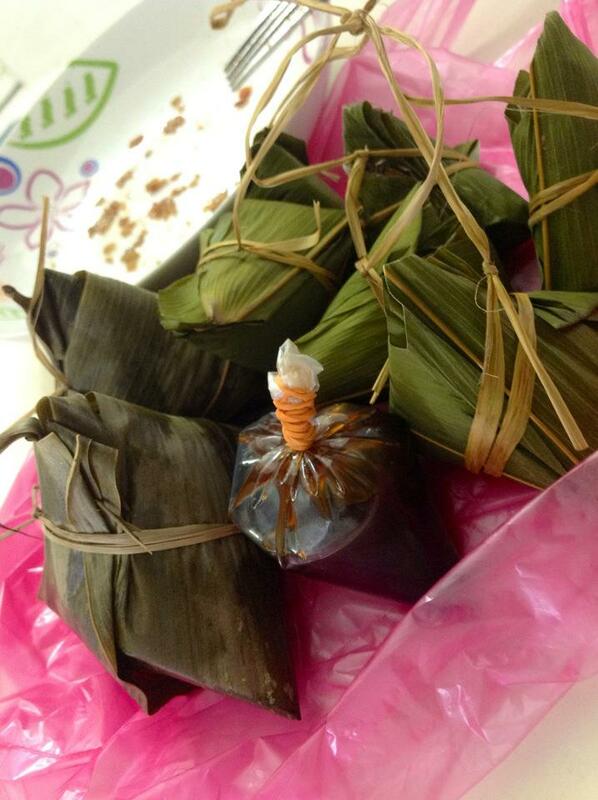 Bak Chang or Zongzi (in Mandarin) is a traditional Chinese rice dumpling usually available around the time of Dragon Boat Festival. See here for information on the Penang International Dragon Boat Festival. Like many Chinese festivals and their associated foodie traditions, there is also a legend surrounding the origin of this yummy food. The story goes that a famous poet, Qu Yuan who lived during the Chu Dynasty, towards the end of the period of the Warring Kingdoms (from about 476 BC to 221 BC) tried to warn the King and his fellow countrymen of the expansion of the neighbouring Qin kingdom, with little success. When the capital of the Chu kingdom fell to a Qin general, the patriotic Qu Yuan was supposedly so overcome with grief that he drowned himself in the Miluo River. The Chu people threw packets of rice in to the river to keep the fish from feeding on the poet’s body. 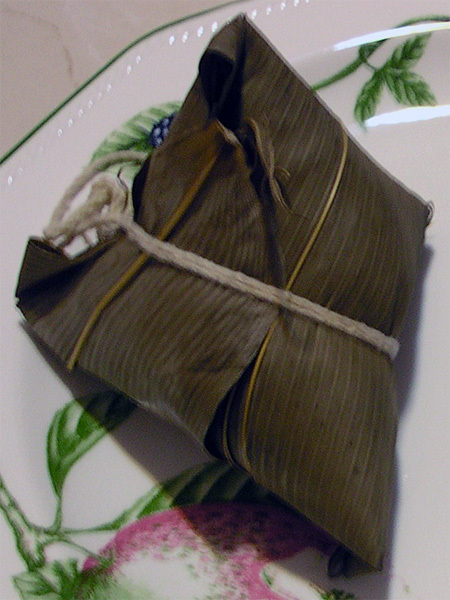 Bak Zhang or Zhongzi as they are known today, are made with glutinous rice with a variety of filling, then wrapped in bamboo leaves, bound and tied together in a bundled. They are typically tetrahedral in shape although may range from a flatish square shape to a circular cylindrical shape. I remember my grand mother preparing this once year in the evening, ready for the fifth day of the fifth month of the lunar calendar. We would all sit on a ‘bangku’ (little foot stools no higher than 10 inches) each, surrounding a big bowl of un-cooked glutinous rice and smaller bowls of pork cooked in dark soya sauce, chestnuts, chinese mushrooms, lotus seeds, dried shrimp and salted duck egg yolk that go in to filling the dumpling. She would start by making a conical-shaped container using the bamboo leaves and then adding some glutinous rice into the base. 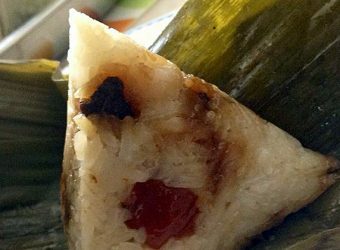 The filling would then added in turn followed at the end by more glutinous rice before the ‘bak chang’ is sealed and tied to form it’s tetrahedral shape. The process was then repeated until all the filling was used up. 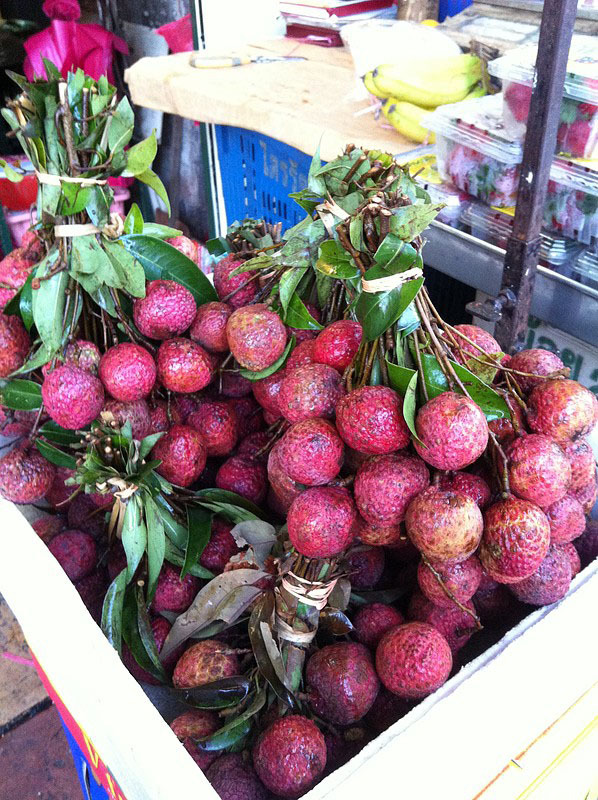 ‘Bak chang’ is usually tied in bundles of ten or twelve. 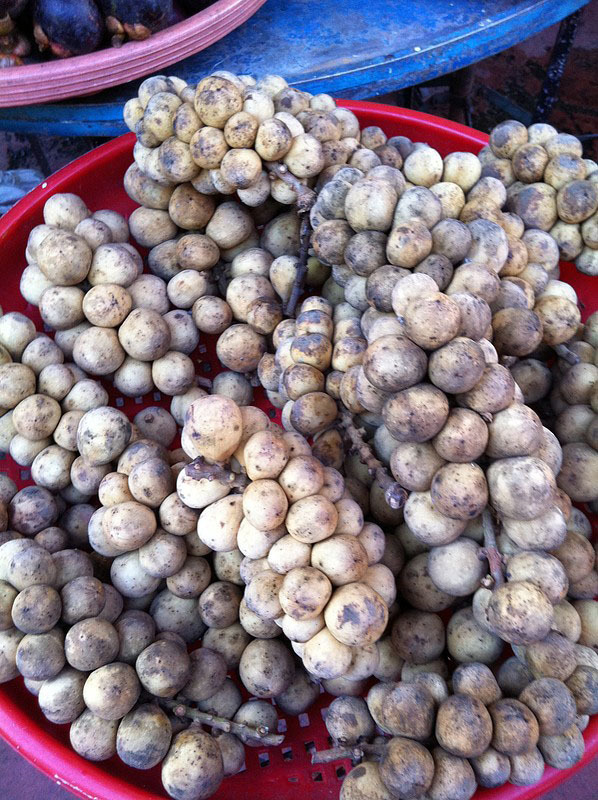 When ready, the ‘bak chang’ is then left hanging in bundles overnight and then on the morning of the fifth day of the fifth month, the ‘bak chang’ would then be steamed or cooked in boiling water. The ingredients above makes a Savoury Bak Chang, with big pieces of pork meat and soy sauce marinade. Giving the dumpling a rich brown colour. There is a second type of Bak Chang, a dumpling with Nyonya influence, which does not use the dark soy sauce marinade but instead replaces the ingredients with minced Pork, chopped candied winter melon, ground roasted peanuts and spices giving the cook glutinous rice a beige colour and sweet taste. 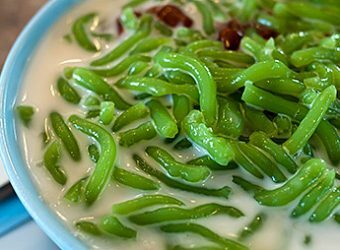 Sometimes known as the Semi-sweet Bak Chang, this is a famous Peranakan Cuisine, a local culture and heritage of Penang. The third type of Chang is known as the Alkaline Water Chang, or Kee Chang. This type of change has no meat filling although is also made with glutinous rice. It is of a smaller size and easily distinguished from the bigger siblings. 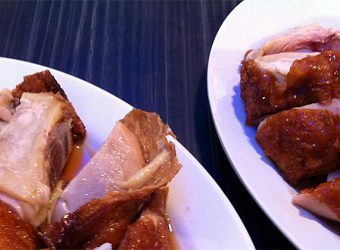 Kee Chang is typically eaten as a dessert with caramel syrup or white caster sugar as dipping. The glutinous rice is pre-treated with lye water thus giving it a soft and yellow texture and colour. 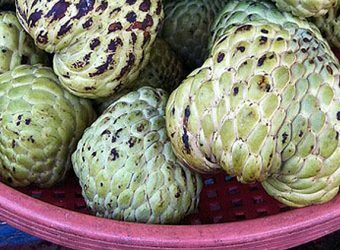 Where can I get Bak Chang: As this is a seasonal food, it is more common around June or July, although you might be able to find this all year round from certain stalls. 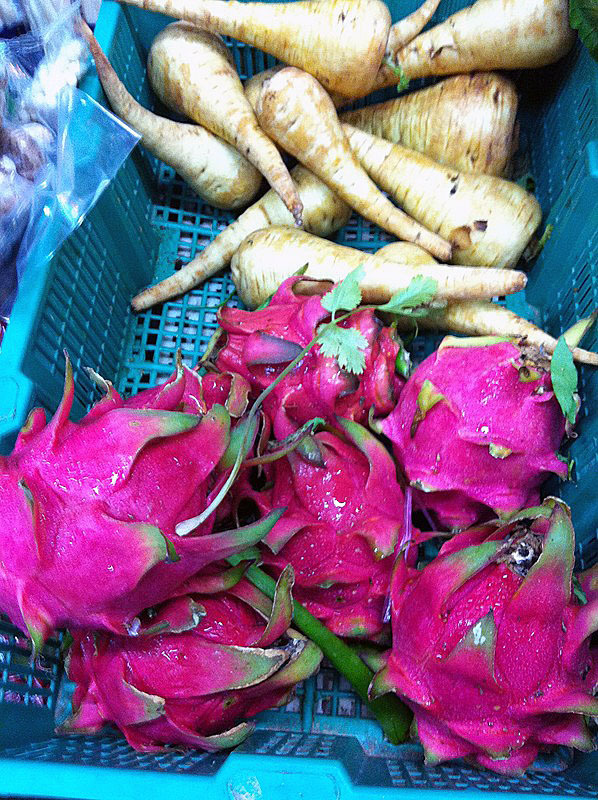 Pulau Tikus Market, Chowrasta Market, Tanjung Bungah Market, MacCallum Street Market are some of the markets you would find this. A hawker stall that usually has this all year round is located in a little lane opposite Union School, along Burmah Road. 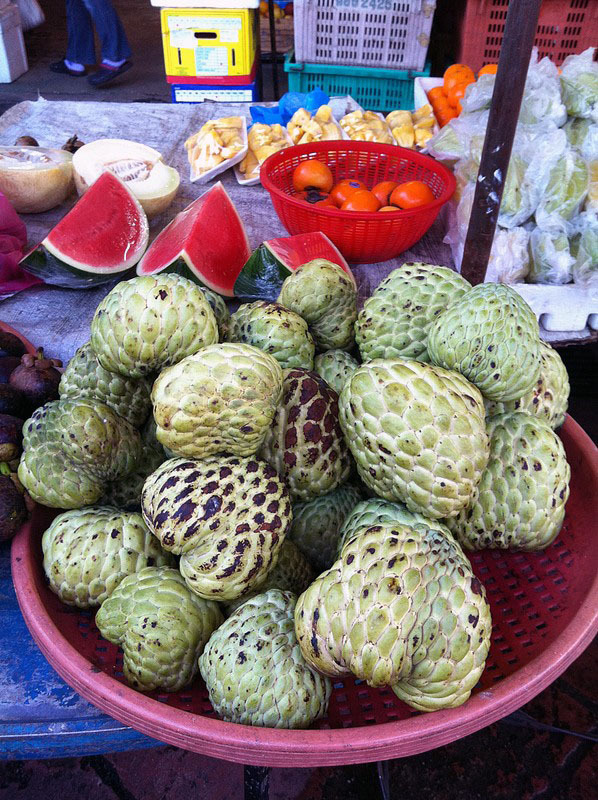 Photo gallery showcasing some of the local fruits and favourites. 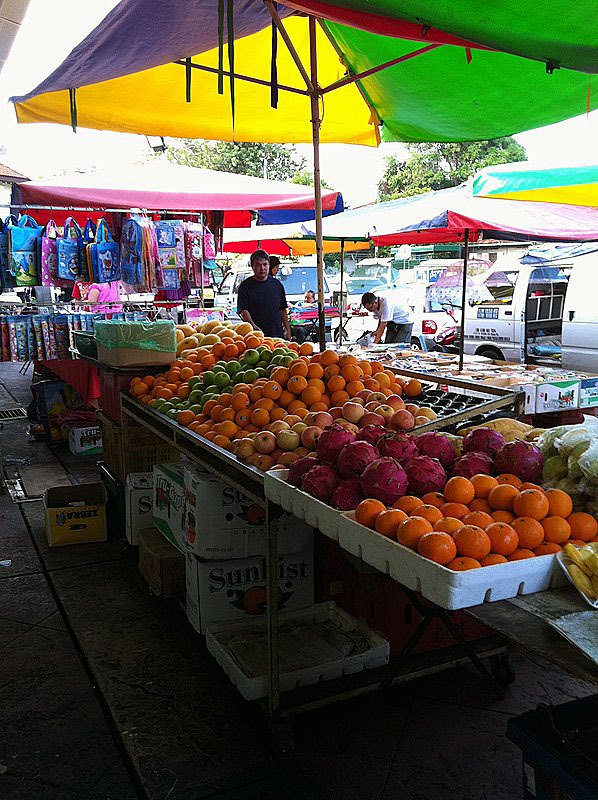 A typical wet market scene in Penang with stalls selling a variety of fruits. Yee Fu, Yi Foo or Ee Foo Mee as it is sometimes known is a non-spicy braised egg noodle dish. It is what I would class as comfort food by comparison to the other hawker dishes which are normally full of flavour, sharp or spicy. This is my personal favourite as I used to order this with the added egg when dining at the restaurant in China Street, Georgetown with my grand father. Said to be of Cantonese origin, Yee Fu Mee in Penang has had several types of treatments. Not so much in its ingredient but in the way it is served, you can now find Yee Fu Mee from stalls offering Clay Pot dishes, Sizzling Hot Plate dishes and the straight forward honest Yee Foo Mee served on a plate. The noodles used in Yee Fu Mee is like no other. Made from wheat flour and egg, it is more well known for it’s high egg content giving it a slightly chewy texture. Often you will find Yee Fu Mee stalls stacked full of cakes of dried noodles. This deep fried noodle is not found in any other dishes and for that it is worth a try. When an order is placed, these dried noodles are flash boiled and put on a plate. A mixture of seafood and meat; cuttle fish, prawns and sliced pork are then cooked in a wok on high heat followed by leafy vegetables (Choy Sum) and a concoction of meat stock, oyster sauce, corn flour and dark soy sauce to make the gravy. The gravy with all its ingredients are then poured onto the noodle and served with some cut pickled green chilli on the side. 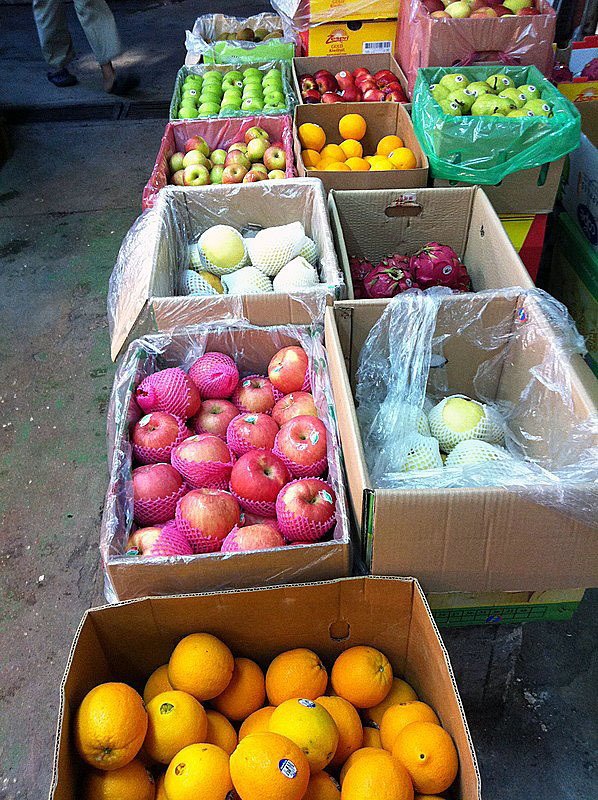 Other vendors may add chicken meat, fish balls, sliced fish cake or Char Siew pork into the mix. Some stalls will add egg into the gravy as standard but others you may have to be prompted. 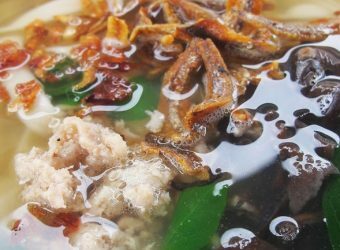 When the gravy is still simmering in the wok, right before it is being poured on to the noodle, the vendor will crack and stir an egg into it. Mixing the egg into the gravy gives the gravy a golden white colour, adding even more flavour to the dish. You may want to try both varieties, with and without egg, probably on separate visits, to decide for yourself which would be your preference. Yee Fu Mee stalls almost certainly offer Sar Hor Fun, another stir fried noodle dish using a mix of thick flat rice noodles (Hor Fun) and vermicelli (Bee Hoon) in place of the egg noodle. 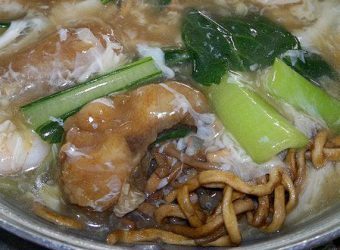 Where to get Yee Fu Mee: Restaurants along China Street in Georgetown in the evening (my favourite place for Yee Fu Mee), New World Park Food Centre, Coffee Shops near Pulau Tikus Market in the day time and Roadside Stalls in the evening. Poh Piah is side dish or snack made fresh to order at the hawker stalls and goes well with any main meals. The name Poh Piah translates literally to ‘thin wafer’ in the Hokkien dialect. 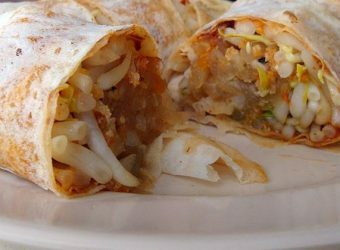 It is a non-fried vegetable spring roll made with special white spring roll skin filled with shredded vegetables; mainly turnip, bean sprouts and carrot cooked with dried shrimps. 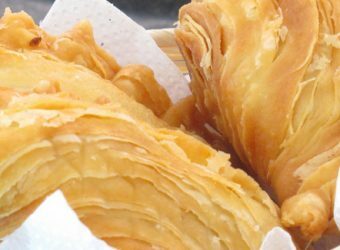 The white spring roll skin is a paper thin, crepe like pancake made from wheat flour. The making of the skin itself is altogether an interesting sight to see. Although, stalls would have stacks of the skin pre-made and ready to roll, so to speak. A dash of sweet sauce or hoisin sauce and chilli sauce (optional) is added onto the skin before the mixture of vegetables, eggs, crushed peanuts and lettuce is placed in a row and rolled up. Where to get Poh Piah: Gurney Drive Hawker Centre, Pulau Tikus Market, Padang Brown Hawker Centre, Poh Piah Roadside Stall on New Lane, Mangrove Food Court in Prima Tanjung at Tanjung Tokong. Hawker Centre next to Penang Chinese Swimming Club in Tanjung Tokong. Heat Level: Non-Spicy, Chilli sauce is option, please state your preference when ordering. 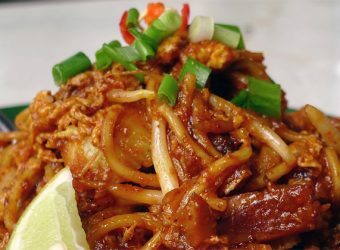 Mee Goreng is a spicy fried noodle dish of Indian Muslim origin, enjoyed by everyone in Penang. Indian Muslims or Mamak as they are called in Malaysia, prepares the most authentic Mee Goreng from their Mamak stalls. The main ingredients are yellow medium noodle, bean curd, potatoes, fritters from flour batter and egg. However, the secret to a good plate of Mee Goreng is in the preparation and the gravy used to cook the noodle. Prepared before hand, the gravy is made with tomatoes, mashed potatoes, chillies, onions, vinegar and a mixture of spices. In the middle of frying the noodle on high heat, the vendor would scoop a ladle full of the gravy and mix this in thoroughly followed by some chilli sauce. The noodle is usually served with a wedge of lime on the side and garnished with chopped lettuce. Some vendors include prawn fritters and squids. 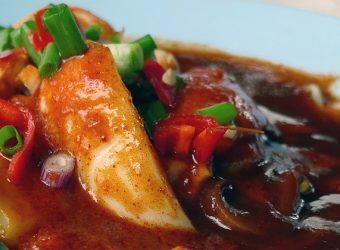 Others may offer chilli prawns with shell on and cuttle fish in curry sauce. Heat Level: Mildly spicy / Extra Chilli is optional / Specify your desired heat level when placing your order. Prepared with very similar ingredients used to prepare Mee Goreng, Mee Rebus is the gravy version of the Mee Goreng. The dish is every bit as popular as its dried sibling and is sometimes known as Mee Jawa. The same yellow egg noodle is used here and cooked quickly with bean sprouts in hot boiling water. It is then topped with hard boiled egg, spring onions, fried bean curd, flour batter fritters and fried shallots before a generous portion of hot gravy is poured over it. The gravy is made with mashed potatoes, curry spices, tomatoes, onions, vinegar, dried shrimps and peanuts. As with the Mee Goreng, a wedge of lime and chilli sauce accompanies the bowl of noodle. Heat Level: Mildly Spicy / Extra Chilli is available on request / Specify your desired heat level when placing your order. 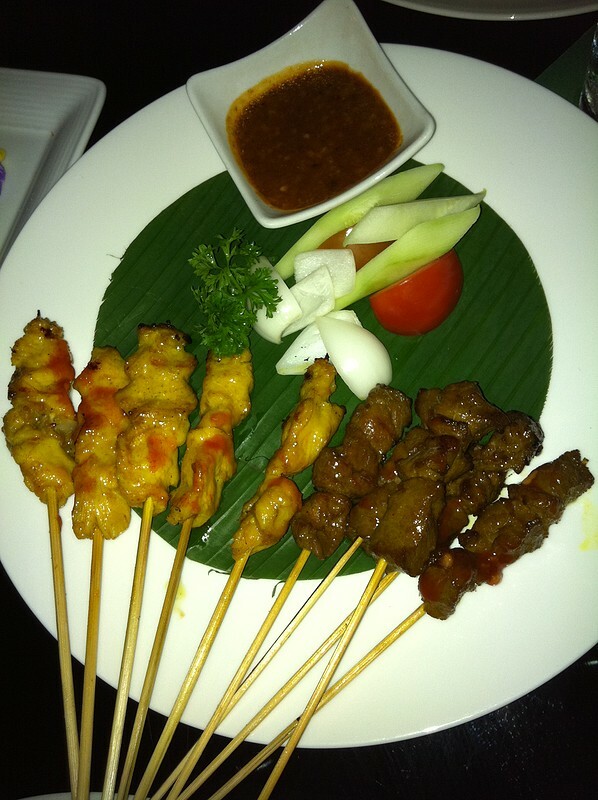 Satays are small pieces of meat usually chicken, placed on skewers made from bamboo sticks and barbecued to order over charcoal fire. Served with cut onion, sliced cucumber and peanut sauce on a separate dish for dipping, Satays make a perfect meal accompaniment, as snacks or simply on it own. 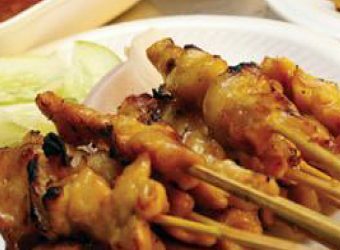 A good Satay vendor not only offers authentic char grilled meet but a thick peanut sauce made with crushed roasted peanuts and spices. Other barbecue meats are available to order where offered are beef, pork or intestines with the later being a kind of delicacy. Don’t be afraid to ask for more peanut sauce if you run out, the vendors are more than happy to replenish your bowl. Try dipping your cucumber and cut onion in the peanut sauce, the challenge would be to fetch as much sauce on your Satay, cucumber or onion as you can. Some stalls offer Ketupat, rice in parcel made from woven leaves cooked and left to cool down. This is especially yummy when taken with the peanut sauce. Char Koay Teow is probably the most lusted over dish by Penangnites who have migrated abroad. Made primarily by stir-frying flat rice noodles in a huge wok over a very hot flame, the most exciting part of Char Koay Teow being cooked, is the banging of the stainless steel spatula against the cast-iron wok while sparks and flames fly all around! 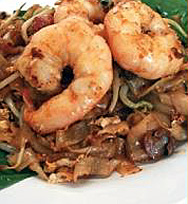 The name Char Koay Teow translate literally to stir-fried flat rice noodle and it is a Penang state specialty. Slightly spicy (or can be requested ‘without chilli’), authentic Char Koay Teow is cooked (most unhealthy) with lard and bits of pork crackling, and fried with bean sprouts, chives, sliced pork sausages (lap cheong), cockles and prawns, sometimes topped wtih crab meat. Definitely a must-try for the Penang visitor. Chilli is added during preparation so if you don’t like hot stuff, ask for “No Chilli”. 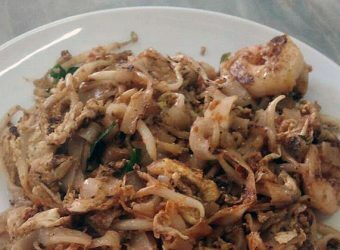 Where to eat Char Koay Teow: Long Beach Cafe (Batu Ferringhi), Food section of Batu Lanchang Market, Ayer Itam night market, Pulau Tikus night market, Dato Keramat Road, New World Park, Gurney Drive evening Hawker centre. Heat Level: Non-Spicy / Chilli is optional / Specify your desired heat level when placing your order.